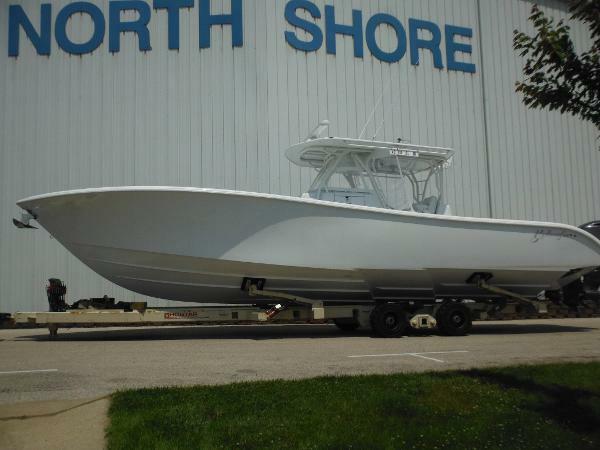 The Yellowfin 39 Center Console stands head and shoulders above the competition, built for the ultimate in off-shore performance. 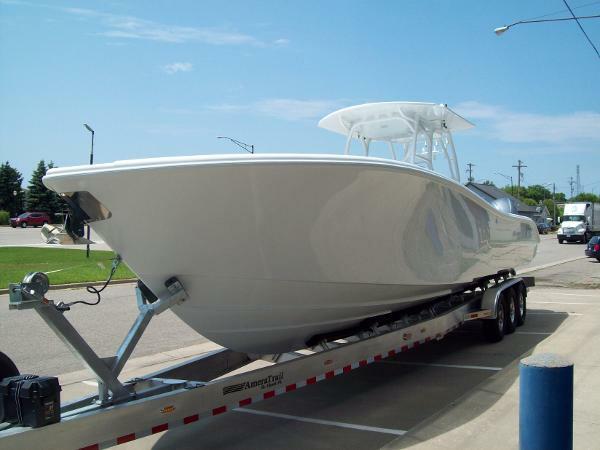 The 39 offers a spacious and well-designed layout that is functional for both fishing and entertaining. 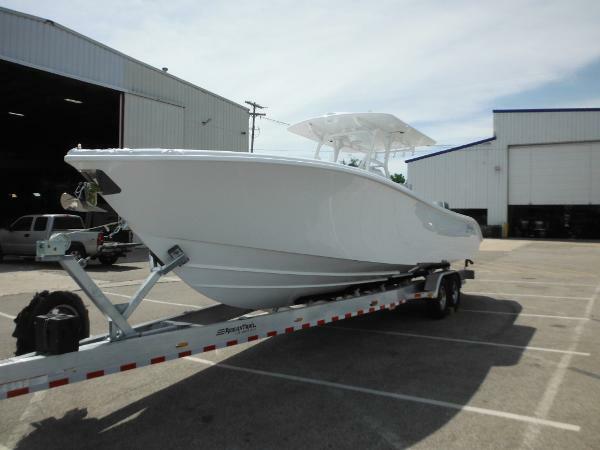 If you seek the ultimate in quality, performance and style, with a surprising level of comfort, then the 39 Yellowfin is for you. 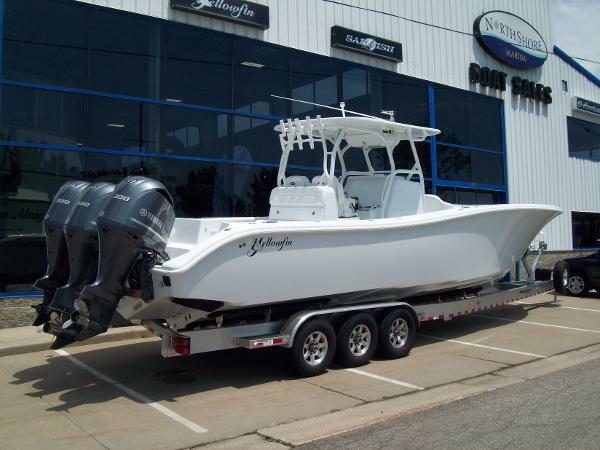 Powered with the ALL NEW 425HP Yamaha 4-Strokes, Triple 425HP, Matahorn White.. "ON ORDER, AVAILABLE NOW!!!" 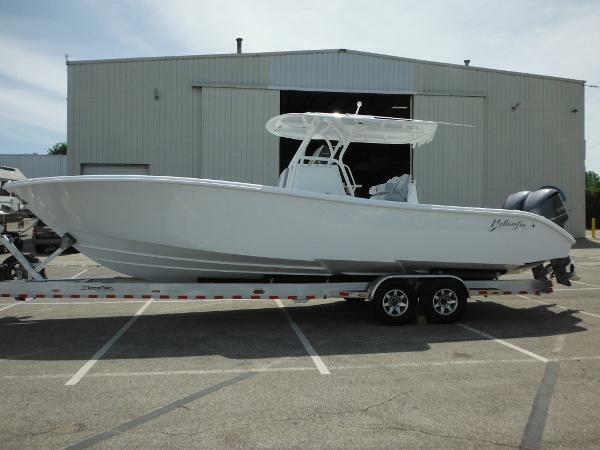 This new 2019 36 foot Yellowfin Center Console is all about offshore speed and light-tackle fishing. 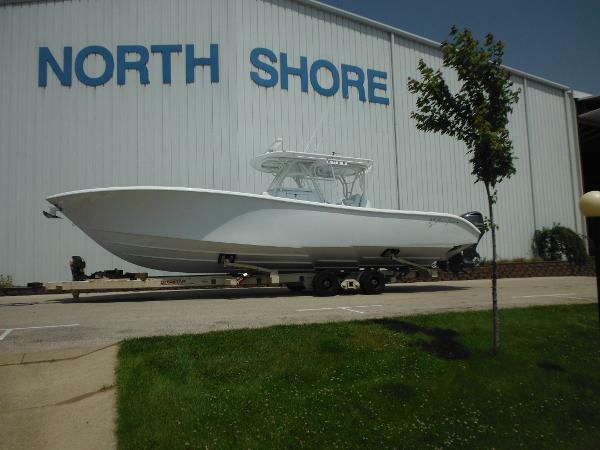 It is truely a no-frills, custom offshore fishing machine. All hardware is flush-mounted. Stainless Gemlux hardware is used throughout, with the exception of the Pompenette rod holders on the gunwale. The foredeck has has two large fish boxes as well as a coffin box atop a large under-deck fish box which opens on electric rams. All this merely touches on the copious storage aboard. 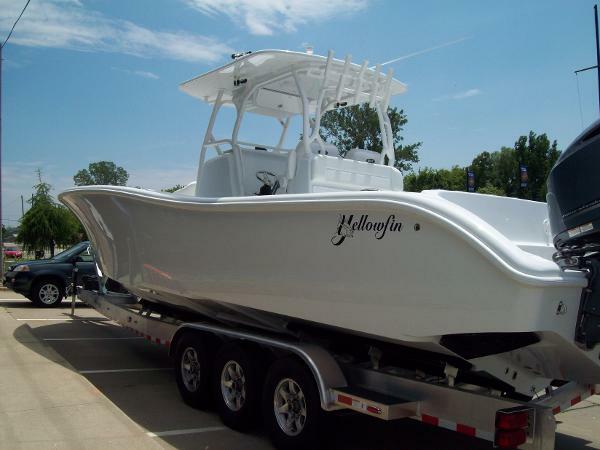 Yellowfin is known for its use of composite laminates consisiting of 100% vinylester resins and Core-Cell composite for superb strength without additional weight. This particular 36 is loaded with factory options. 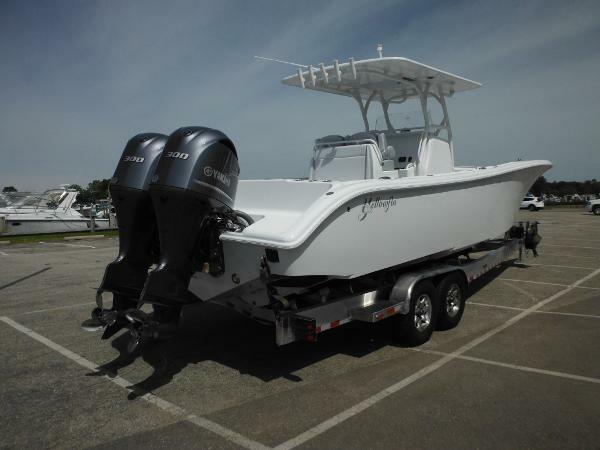 Powered with the "New Generation" Yamaha Triple 300HP V-6 4-Stroke Outboards; Matterhorn White; Powdercoated Hardtop w/Five Rod Holders and Multi-color Lights; Taco Outriggers; Large Leaning Post Helm w/Yellowfin Captain's Seats; Front Combing Pads; Front Shelf Covers; Forward Seating; Coffin Box; 15 Additional Rod Holders; 4 Electric Plugs; Freshwater Washdown; Garelick Boarding Ladder; Sealand Electric Head w/Holding Tank; Battery Charger; Shadowcaster Multi Color Lights; Anchor Windlass and a Custom Tri-Axle Trailer. As always, Yellowfin shows a successful consistency in the new 36, where top dollar buys you top quality and top performance!! "NOW IN STOCK AND AVAILABLE TO PURCHASE NOW!" The 32 CC has been described as the "Sports Car" in the Yellowfin line-up. Jaw-dropping speed and agility come together with the highest level of quality and construction standards in the industry. 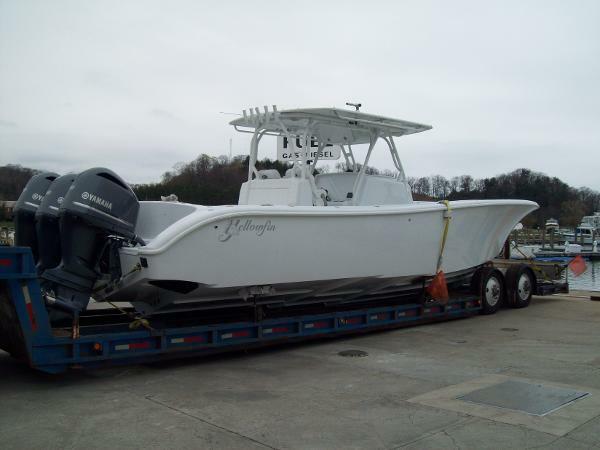 This boat is powered with Twin 300HP V-6 Yamaha 4-Stroke Outboards, Fiberglass T-Top, Bolster-style helm seats, forward seating, Sea Land head, Anchor Windlass and Custom Trailer included. "NOW IN-STOCK AND READY FOR IMMEDIATE DELIVERY!!!"